The College is pleased to announce the appointment of Xavier Knight as Chief Information Officer, effective Aug. 3. Knight brings a wealth of experience in information technology to the College, having served most recently as an information technology director at Purdue University and previously in senior information technology manager roles at the University of Minnesota, Medtronic, and the Carlson Companies. He has also served as an adjunct faculty member in computer sciences at Augsburg College and Metropolitan State University. "We're very excited to have someone with the depth and breadth of experience that Dr. Knight will bring to our IT operations," said Beth Domholdt, vice president of academic affairs. 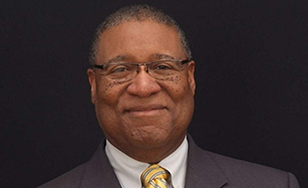 Knight earned his bachelor's degree in business and computer systems at Metropolitan State University, master's degrees in management and telecommunications from St. Mary's University of Minnesota, and a Doctor of Education in Leadership with a focus on transformation and large-scale change, also from St. Mary's University of Minnesota. "I am very excited to have the opportunity to work with the St. Scholastica community of students, faculty and staff," Knight said. "As higher education continues to evolve, I look forward to leading St. Scholastica's IT efforts into the next chapter by developing and implementing technology strategies that support the mission and direction of the College." Knight succeeds Lynne Hamre, who joined the College in 1994 and will now serve as the dean of the College's School of Business and Technology.